I first encountered actor/singer Cortes Alexander when he performed his show Swell - also the title of his solo CD - at Sterling's Upstairs at the Federal in August. The man is a whirlwind of talent as a musician/singer. When I heard he was doing a play entitled Dangerous Corner at Crown City Theatre - opening September 27 - I immediately sought him out for an interview. In our chat he talks about the challenges of doing this play and his musical work, including how his group The Tonics skyrocketed to fame. Tell me about Dangerous Corner. Oh boy...well, it's a play that was written by J.B. Priestley in the early 30s in England. It's a murder mystery whodunit. Gary (Lamb, director) has updated it to the early 60s. The whole play revolves around my character, who, in the original production physically is never seen. So you are written in. He wrote me in. Now, I...I lurk. I'm the one that is the catalyst for all the action in the play. I can't give away anything else. Do you get a chance to sing? ...Maybe. (we laugh) The cast is wonderful, so talented. Matt Williamson plays my brother; he's fantastic. They're all great; it's fun to see how everyone works. Gary gets what he needs out of different actors. It's a hard role for me, though, I have to say, because there's no dialogue, there's a lot of blocking and you really have to pay attention to who's saying what to whom throughout the whole piece. I'm onstage almost the entire time. I've never done anything like this before. It's a challenge for me. I did a play some years ago with Robert Reed and Florence Henderson. It was his last play. Alone Together at La Mirada that Glen Casale directed. I played their youngest son going off to college. We got extended and were supposed to move to the Westwood Playhouse, but unfortunately Robert got sick, and that was the end of that. She's amazing. Gorgeous and smart. Raunchy and fun, in the best possible way. As a kid I did Equus and... Amadeus and was able to play my own piano in that. Now later in life, the music thing is rearing its ugly head, so I've been getting full opportunities to do more music stuff. Was it your dream to be a musical star? Not really. I saw myself as just a straight up actor, but I got into Juilliard when I was a kid. I took a left turn there...I was thirteen when I got in and I say it lasted about thirteen minutes because it was not the right place for me. I was born here in Los Angeles and my whole family moved to New York so that I could do this. It just wasn't the place for me at all; it took all the joy of music right out of me, but I went to a professional children's school. A lot of kids were in the arts: actors, athletes, kids that couldn't attend school on a regular basis, so academics were arranged around your touring or whatever you had going on. A lot of kids were auditioning for Broadway shows, and I found myself playing and arranging songs for their auditions. Of course, but I'm not the greatest piano player in the world, by any means. I do well enough so that I can play the parts for my show, and to my Swell girls I'll say "OK, you sing E flat, you sing the G!" I play well enough. In my little tiny scope of skill, I'm very accomplished. I loved Swell and your two girl backup singers. Thank you. We're doing another one at the Federal, a Christmas show on December 12. With a lot of original Christmas material? Who are the girls again? Melissa Bailey and Julie Garnier. Wait til you hear Julie; she wasn't in the last show. Melissa I met in my first Broadway show Marilyn: an American Fable. I was playing piano for someone else's audition, we were leaving the studio at Midstock, New York. Just as I was about to close the door behind me, behind the table they said, "Excuse me, do you sing?" I didn't really think of myself as a singer, but I sang to show other people what to do. I said "Yeah". I looked at this piece of music. It was the only time in my life where my Juilliard training helped me, because I was able to sight read the music. I said (he laughs) "Can you put it in A flat?" They transposed it for me right there on the spot, and I sang it. This was a Friday and on Monday morning they called and asked "Are you available to start rehearsals tomorrow?" Well, what do you know? How about that? That wasn't hard. Here's the thing that I just found out. Kenny Ortega's ( choreographer) assistant Greg Smith, who I hadn't seen since Fable, came to my show at the Federal in August and said to me, "You realize that we wrote that part for you", which I did not know. They said when they saw me, they wrote this role for me. What a nice thing to know! Let's talk about how The Tonics got started. What an incredible thing! I had a singing group in the early to mid-nineties called The Tonics. We started out here in LA at open mic every Tuesday night at the Rose Tattoo. I was just starting to sing on my own. It was very cliquish. There were the good people, the cool kids and then there were the novices. I definitely saw myself in that group. The cool group got to go up right away at open mic; the newbes had to wait until 11, 12 o'clock... when there are 2 or 3 people left in the audience. OK, I just wanted to see if I could get up and do it. I met Lindy Robbins, Gene Reed and Brian Lane Green. Gene had just come back from the road with Al Jarreau. Brian had just come back from New York after Starmites had closed. Lindy was sort of the resident diva of the place and asked me if I would sing backup for her. I did it; it was fun. When I saw what our blend (all four) was, I thought "Let me get my hands around this". Around the piano I said, "Hey guys, I have an idea of something that might be really cool". It was an arrangement of "Oh, What a Beautiful Morning" from Oklahoma with "Wouldn't It Be Loverly" from My Fair Lady. I blocked it out for all of us and we made a couple of little adjustments, and we sang it. It stopped the show. Every week we did another one and each week it was huge. After six weeks, Brian got a soap opera job in New York that was a great break for him, so we planned one last show for LA. We did all six numbers that we had learned and tagged four solos and got oohs! and ahs! We decided to go to New York, so off we went. We sang at a little club called 88s, downtown West Village cabaret at the time. On a Friday, it was packed with people. I was at the piano, we were sharing mics... and it was difficult. On "Beautiful Morning" the place fell to a hush, and the owner of the club ended up giving us a gig at 12: 30 on a Monday night for four weeks. We took it because we wanted to be able to say we did it and get it out of the gate. We started singing in the street, passing out fliers and going to every open mic in town trying to get people to come. We met Jason Robert Brown, and he became our musical director. Amazing! He became such an integral part of our development. Anyway, we sold out the place and on the fourth week, the owner came to us and offered us Friday nights at 8 pm. The Times, the Post and Daily News came and gave us half a paragraph in each paper, saying we were the next Manhattan Transfer. From that point we never looked back. Daisy Prince, Hal's daughter came the first night and said "I'll introduce you to everyone you need to know!" What luck! You were in! Yes. Billy Stritch came, Liza (Minnelli) came and it completely steamrolled. We sang at the Prince's annual Christmas party and didn't know what to expect. We were so undisciplined. We would get into fights onstage. We would tell jokes, insult each other. We were four friends talking. I've watched tapes and now know what people were responding to. Somehow we would go from these fights into this incredibly disciplined, detailed harmony, that we were all fussy about. At the Christmas party, we walked into this great townhouse and there's Stephen Sondheim, there's Liza, there's Carol Burnett, Linda Lavin. All these incredible people! We did our thing, and Steve (Sondheim) came up to me afterwards and said, "Look, if they're doing another one of those God forsaken benefits honoring me - they make me so anxious and nervous - we're trying to get a group in there. Would you guys be interested and available?" Wow! When we got the list of songs, they were all ballads. This is how self-serving we were. We made them all up tempo. That was the idea for "Good Thing Going" and "Company", which we ended up doing at Carnegie Hall the following summer. I stayed with the group for 4-5 years, and we had a great deal of success. I know you became great friends with Liza. How did this germinate? She came to all of our shows; we would go to her shows. We sat in the front row at Carnegie Hall. She said she wanted to put together a new vocal trio and call it the Cortes Alexander Trio. She asked me to pick two guys and told me we'd go all around the world and do our thing. She didn't want the guys from The Tonics; she wanted it fresh, brand new. I auditioned and got Clarke Thorell and Jonathan Dokuchitz, who were just out of Tommy, and we did it. We went out on the road with her and went all over the world. The tour was crazy. We played the Kremlin in Moscow and then on to Michigan State University, to Bloomingdale's in San Francisco and then to Paris. An incredible, wild time! When the tour ended, I came out here to California, and Liza and I stayed in touch on the phone and at Christmas and New Year's. And when I'd go to New York, we'd have lunch. Then five years ago, I bumped into her on the way from the dentist, literally in the street, at the time I was starting my record Swell. She asked what I was doing, I told her about the CD, and she told me she wanted to do Kay Thompson's show in her show and asked me to be a part of it. I knew a lot of the material, but was starting to do my own thing, so I had to think about it. But I ended up saying yes, just like doing this play. I haven't done a play in a while and it's better to say yes to stuff and see what happens. It sure beats waiting around for the next thing. Jump in and see what happens! That's how I got Liza's show and that went on for 4 years. We played in Uruguay and Belgium, all over the place and ended up winning a Tony Award on Broadway: Liza at the Palace. What do you think is Liza's greatest attribute? Her loyalty and her sense of humor. Those are two things that few people get to see. She's had the same group of people around her for 20 years. I've known her 21 years, and it's the same core people. Even though I could go months and months without seeing her, when we get together, it's as if we had seen each other last week. In August I was back stage at the Hollywood Bowl trimming her bangs and she was supposed to come with Billy Stritch to see my show at the Federal, but unfortunately that was the week that Marvin Hamlisch passed. By the way, when I was 16, Marvin came to my high school and spoke. He came up to me after I performed and said "If there's one person that I can think of that's going to put me out of business, it's you. If you love this, stick to it, and I promise you good things will come!" He was a very sweet man. 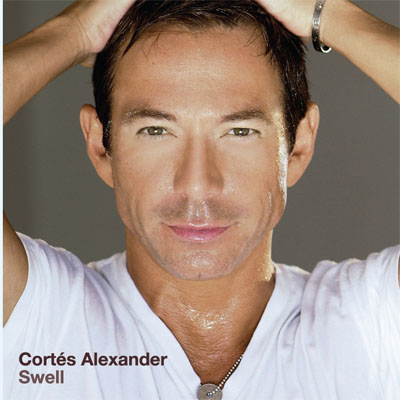 As is Cortes Alexander! He's nonstop talkative, confident yet humble and oh so super talented. See him in his musical show Have a Swell Christmas on December 12 at Sterling's Upstairs at the Federal! And, with his mouth closed ...opening September 27 at Crown City Theatre in Dangerous Corner. 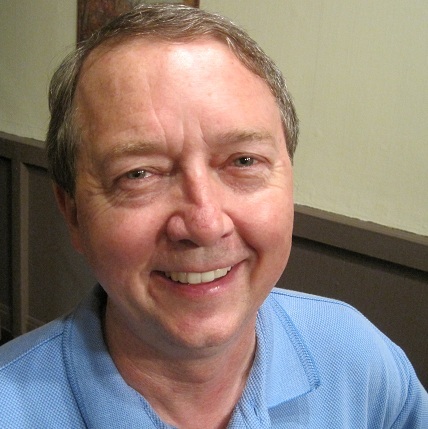 Steve Jarrard is the Managing Director of Collaborative Artists Ensemble. 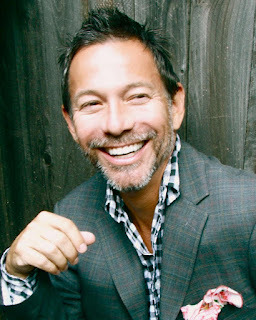 He has directed 7 of their 10 previous productions including Nicky Silver's The Food Chain, How I Learned to Drive, Eleemosynary, and Lucia Mad. Some of his other directing credits include Civilization, Doubting Thomason, and Noel Coward’s Present Laughter at the Edgemar Center for the Arts. He is currently directing The Square Root of Wonderful, which is being revived from September 14-October 14 at the Raven Playhouse in NoHo. About a decade ago I was walking through the NOHO Arts Festival and, on a whim, signed up for an acting class. As luck would have it, the class was taught by Michael Holmes, who appeared in the original Broadway production of Rosencrantz and Guildenstern Are Dead, who is an award-winning director, and who is a master acting coach. Turns out I could act a bit and was asked to join his company, The Action/Reaction Theatre Company. I fell in love with theatre then and have been involved in theatre ever since. How did Collaborative Artists Ensemble come to be? Meg Wallace has been making theatre all of her life and when she moved to Los Angeles, she wanted to keep making theatre. But she kept running into the lets-do-a-play-to-get-an-agent mentality. And she wanted to make theatre for theatre’s sake. So she and a few like-minded people started a company that would put on plays that are challenging to the actors and meaningful to an audience. A company where actors could be actors. Member of the Wedding is the play that Carson McCullers is best known for. How did the rarely produced The Square Root of Wonderful come to your attention? Meg is a big fan of Carson McCullers and was looking up Carson online when she came across the title. And the title, the beauty of it, grabbed her. She had to read anything titled The Square Root of Wonderful. What drove you to choose this particular play for production? When Meg and I read the play, we found it to be this beautiful mixture of funny and sad, of heartbreaking and heartwarming, of tragic and life affirming. We wanted to find out why this play that moved us so much was not well received in 1957. Digging into it, we felt that the mixing of tone along with the issues of suicide and spousal abuse, things that were not talked about in Eisenhower’s America, were the reasons. We also felt that those very things would resonate deeply with modern audiences. And the only way to find something out in the theatre is to do it. So we decided to give it a go. You directed this play last spring and are now reviving it. What have you learned from having directed the play the first time around? What I learned is that audiences today do respond to it; that they are moved by it. One person who saw it emailed us to say that she had to walk around NOHO for a half-hour before she could drive home. We also had High School students, who came as a class assignment, stay and talk to us after the show because they loved it so much. What do you want your audiences to experience and come away with having seen the play? We want them to experience the Joy and the Heartbreak that was Carson McCullers. We want them to come away wanting more of Carson McCullers, to discover, or rediscover her. Is there anything else you’d like readers to know about The Square Root of Wonderful? That this was her most personal work. Her life echoes loudly throughout this play. She wrote it in response to her husband’s suicide and her mother’s death. She poured her heart and soul, her life really, into this play. And when it didn’t do well on Broadway, it devastated her. What is up next for Collaborative Artists Ensemble? We have produced five plays a year for the past five years and next year we will do the same. We have several balls in the air at the moment and are trying to work out various things like rights, schedules, etc., for the spring and fall. One of the plays on our radar, that we’re very high on, is a musical version of They Shoot Horses Don’t They?